Youthfully charming Adify Media launched two promotional vids to illustrate that extra-special intra-personal something you'll get when your remnant ad inventory is placed in its warm, able hands. The creative is formatted like eHarmony testimonials. Adify's merits are described in a leisurely, quasi-intimate way as both client and account strategist finish each other's sentences, make silly gestures, touch inappropriately and give each other weird sidelong looks when one coolly mentions having tried other algorithms before. It's all just creepy enough to pass. Our only complaint is that everybody's already done the service-as-soulmate, let's-all-laugh-at-eHarmony thing, so it's got a mildly uncomfortable two-years-tardy feel. That's cool though. No idea's original, yeah? 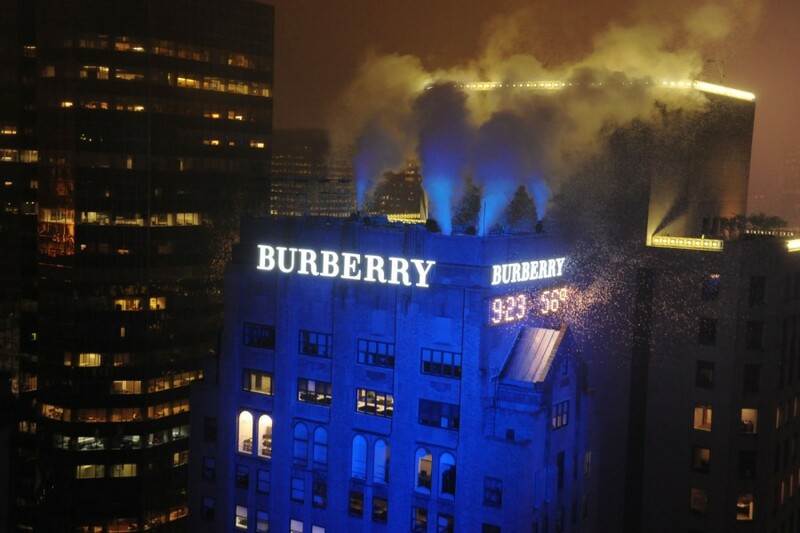 Last night Burberry had a celebu-fest to celebrate its addition to the New York skyline. Penn Bagley was there. Blake Lively was there. Carla Gugino was there. Helena Christensen was there. Milly Simms was there. Justin Long was there. Here's the video. Here's the pictures. We just thought you'd like to know. Finally, a Vodka that Complements Cheerios. 2. Diversify its flavour set. Grey Goose tackles both milestones in one smooth pill. That potshot of the dewy citrus brought Tropicana to mind, though, which I guess works out well because what could be more festive on a Friday than a screwdriver with an accent? 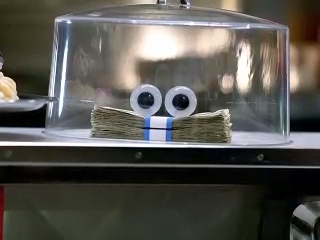 So Geico's been running this quirky campaign featuring a character called Kash, a (literally) glaring pile of money that represents the approximately $500 you could be saving as one of its clients. In March, Geico partnered with the Numa Numa guy to generate buzz for a spin on the Kash tale: moving forward, the staring wad of benjamins comes with its own theme song, Somebody's Watchin' Me. The spots, which appear below, are simple enough: ordinary people grow discomfited by the sensation they're being stared at, then they see Kash and the music drops. It flirts with the sinister but never quite gets there; this is feel-good stuff, just meant to reinforce Geico's mantra, "save money (it's easy!)" with attentively tame but left-of-center humour.